The Boulder Housing Partners HR team was juggling multiple systems before deciding to streamline their 50-page new hire paperwork packet. After implementing WorkBright, they have gained back training time, eliminated the headache of open enrollment and received overwhelmingly positive responses from new employees! 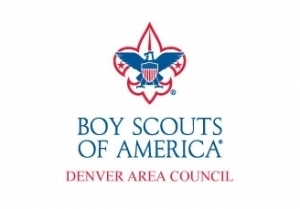 With over 200 seasonal employees being hired each year to staff their summer camp, Megan Houghton and the team at BSA_Denver chose WorkBright to replace their manual, paper-based onboarding process with a streamlined, digital process that has shaved days off of their auditing and onboarding workload. Avid4Adventure is one of WorkBright’s founding clients who helped us build the platform. In this recorded webinar, you’ll get an inside look at how Avid4 Adventure leverages WorkBright for onboarding, licensing & ACA visits, background checks, and much more. This tool has helped my camp directors onboard staff quickly and efficiently in a manner in which the staff works best, through their smartphones! My best experience with WorkBright beyond making my onboarding process a million times easier is the support that I receive. Peter is always timely in his response and will help me problem solve through any roadblock. WorkBright will lighten your HR load without question. No more file cabinets lining your office. The process is easy to learn and the customer service department is exceptional. All of your concerns will be addressed in a very timely manner. It beats having a subscription to several different job boards. We run a multi-location seasonal camp business and used to spend SO much time organizing and chasing paperwork. WorkBright has remedied that situation. Our employees have raved about the ease of the system and I have such peace of mind knowing that I can easily view (from almost anywhere) exactly what is in everyone’s file. It is also incredibly customizable and when we do have questions and/or issues WorkBright is immediate in contacting us. They have really thought through the onboarding experience (from both the employer and employee side) and developed something that has made a time-consuming nightmare of a process if I dare-say easy. You’ve revolutionized the daunting task of forms and are always so very helpful. Thanks for reducing a major step in the hiring season. WorkBright has really helped our business with onboarding efficiently. Our Account Manager is amazing! He always gets it done regardless of how menial the task. LOVE the customer service. It has been exceptional! From the first call to set up and support your team is wonderful to work with. Very satisfied as there are several enhancements that our company has recommended that are going to make WorkBright great for us. Thanks for your willingness to hear what your users need to get the most out of WorkBright! Very happy with the ease of the onboarding process from an administrative approach and have not heard any issues from the employee perspective. Systems have been improving since the implementation of our use and continue to be happy with the progress. Customer input is valued.